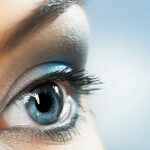 The Guild is the leading professional body for qualified iridologists in the UK. It was established in 1992 as a unification between the UK College of Clinical Iridologists (Director – Adam Jackson), the Naturopathic Iridology Register (Directors – Angela & Peter Bradbury) and the Iridology Association (Director – John Morley). This brought about a finalisation of the unification of the Iridology movement in the UK. Subsequently, the Secretary of State gave the Guild the right to use the term ‘International’ in its title. If you are considering embarking on training as an Iridologist, you will find a list of accredited courses by clicking on the ‘Courses’ page of this website – no other courses are accredited by the Guild. All courses require attendance/face-to-face contact with tutors or lecturers. This requirement excludes contact with tutors by phone, webinars etc. Neither the Guild nor its insurers recognise Iridology courses that are conducted only by distance/e-learning. The Guild strives to maintain the highest possible professional standards for clinical and naturopathic iridology. Working closely with the leading colleges and professional iridologists in the UK and abroad, the Guild has developed and agreed a common core curriculum to set minimum training standards. If you are interested in training to become an iridologist, please contact one of our list of approved colleges. All Guild members are subject to a strict professional code of conduct, ethics and practice. All full members hold appropriate professional qualifications and professional indemnity insurance.All members are fully qualified naturopathic iridologists. Most of our members are listed on the website list but if you are unable to find an iridologist in your area, please phone us. If you are a qualified iridologist, including an Equine Iridologist, and would like to join the Guild, please click here to contact us. As a member of the General Naturopathic Council (GNC), the Guild has been working towards the establishment of a two-tier GNC register. The upper level will be for full Naturopaths and the lower level will provide a unique opportunity for already multi-qualified practitioners to become Naturopaths. Please refer to the ‘News’ page of the website for more details. Available to students and those who have taken a recognised basic/grounding course in Iridology but are extending their training. Membership includes reduced seminar rates. For Members who have successfully completed a professional Iridology training course, have professional indemnity insurance and hold an additional qualification.